BBC happy to go DRM free? Is DRM-free BBC content distribution being trialled by iPhone iPlayer? 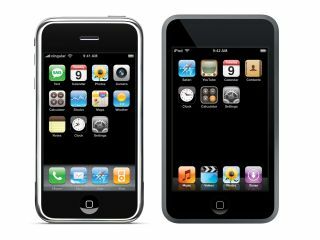 Following the news earlier this week about the BBC's apparent decision to allow iPhone users to access its programming in a non-DRM-protected H.264 format – potentially allowing users on desktop computers to download and keep unrestricted videos – TechRadar polled a number of developers and Apple specialists for their response. "The problem is that [the BBC] has used a simple web page/media player combination to play the videos, basically iPhone iPlayer is a bit of a hack," we were told by Marcus Dyson, CEO of developer eleventeenth.com. "They rely on the 'user agent' to identify that it's an iPhone, and then they deliver DRM-free content, because the iPhone does not support DRM video. “What they need is to use the SDK to create an iPlayer client application, then work with Apple to get a list of all iPhone MAC addresses - the client would need to verify the MAC address before the site delivers content,” he added. The iPhone, of course, does support DRM - the FairPlay DRM that Apple attaches to some of the content bought from the iTunes Store. And that includes some BBC Worldwide programmes, like Ashes To Ashes, which are available to buy for £1.89 per episode. What the BBC wants - and what Apple doesn't yet deliver in the UK - is the ability to offer time-limited downloads, although these are expected to spring up later this year when Apple launches its iTunes Movie Rental Store. Back-door testing of DRM-free content? As for the suggestion that this contravenes the BBC’s charter, Phin disagrees: “I’d be interested to know if they’ve had the go-ahead from the programme makers to do this, but I wasn’t aware that the charter mandates the use of DRM. I would assume that the appetite for DRM comes from the content providers, not the BBC itself. The BBC spokesperson added: “We have made it clear that BBC iPlayer on iPhone and iPod touch is currently in beta, which enables us to pick up on such issues and find a solution before we roll the service out in full in due course."